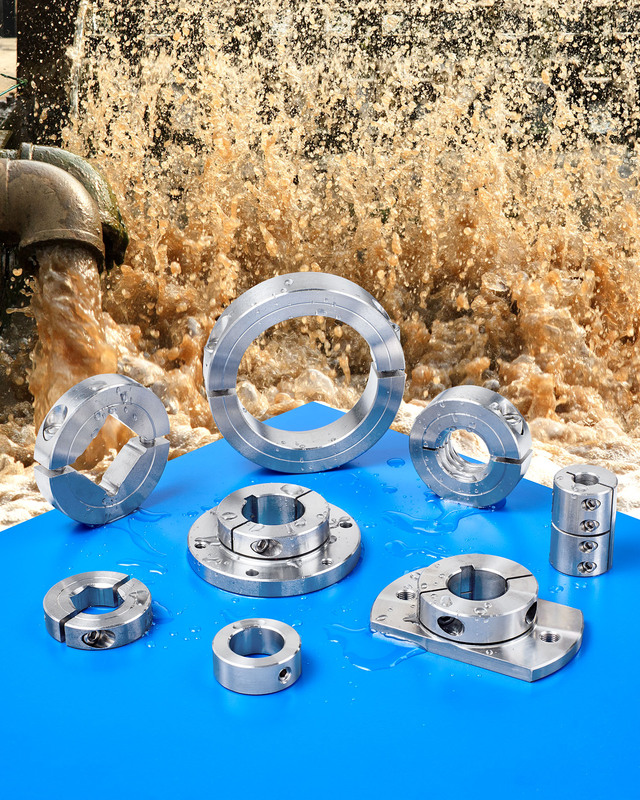 A full line of 316 stainless steel shaft collars and couplings that are designed for harsh process environments such as waste water treatment is available from Stafford Manufacturing Corp. of Wilmington, Massachusetts. Stafford 316 SST Collars and Couplings are designed to withstand constant exposure to harsh chemicals, solvents, detergents, and water found in mixing equipment, drive systems, flow control instruments, and related machinery. These corrosion-resistant collars and couplings come in a wide range of standard sizes and styles and can also be modified to customer requirements. Available from stock in set-screw, one-piece, and two-piece styles with a choice of 18-8 stainless steel or 316 SST fasteners, Stafford 316 SST Shaft Collars come in sizes from 1/4” to 10” I.D. with smooth or threaded bores and mounting holes, flats, or hinges. Offered in 1/4” to 3” I.D. sizes, the couplings can also be provided with keyways and stepped bores. Stafford 316 SST Collars and Couplings are priced according to style, size, and quantity. Pricing is available upon request.